Margaret Callahan is a board-certified medical oncologist at the Memorial Sloan Kettering Cancer Center specializing in the use of immunotherapies to treat melanoma and other cancers. She works in the Immunotherapeutics Clinical Core, which is a specialized center for Phase 1 studies of new immunotherapy agents, and also works on the Melanoma and Sarcoma Service. Callahan’s research is focused on the development of new ways to use the immune system to treat cancer. 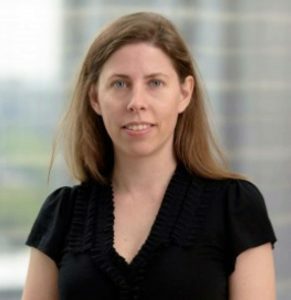 As a laboratory member in the Ludwig Center at Memorial Sloan Kettering, she is involved in developing innovative approaches to monitoring patients treated with immunotherapy. Her current research aims to better understand how immunotherapy can be used to help patients with cancer and to expand this promising treatment modality into new areas.